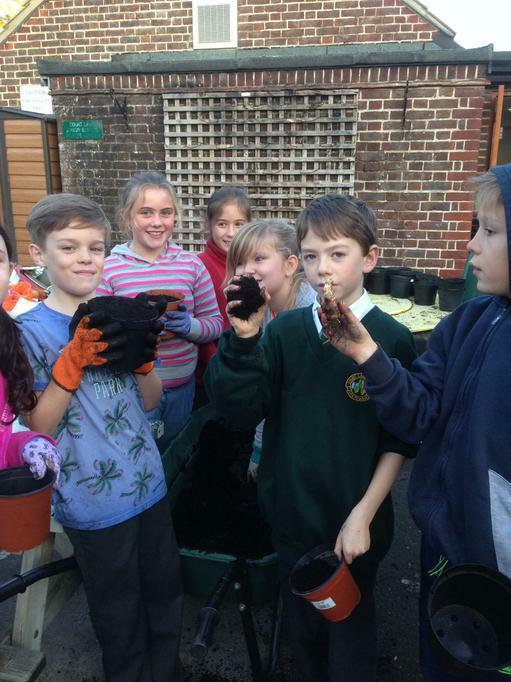 The Young Gardeners Club have had a busy term. The children have enjoyed using the new hand tools we purchased with funds we raised at the School Crop Sale in July. 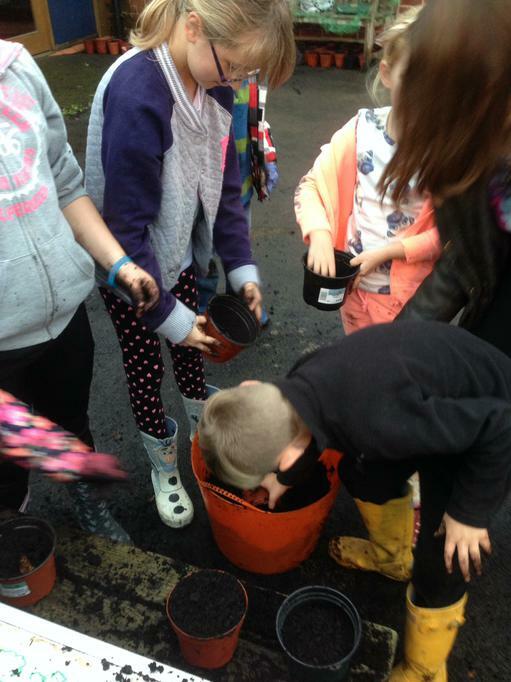 They have harvested many crops, planted winter crops and had lots of fun doing gardening activities at the Salisbury Road Allotment. 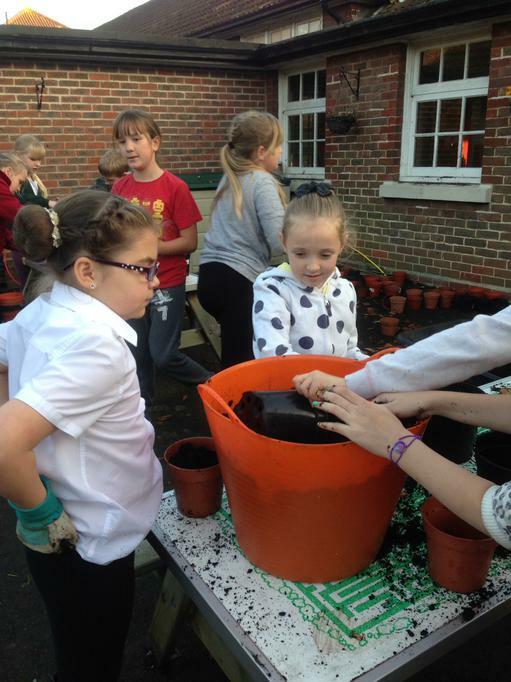 Finally we have planted 400 daffodil bulbs in pots. These will be sold in March to raise money for The Brain Tumour Charity - Alan Sansom Fund. The children have shown great enthusiasm for this event. Many of them knew my Dad, Alan who passed away quickly in July from a brain tumour. He helped at Young Gardeners Club, was a coach at Sansom School of Fitness and helped at many events within the school. We look forward to raising funds for his charity and giving something back for him. 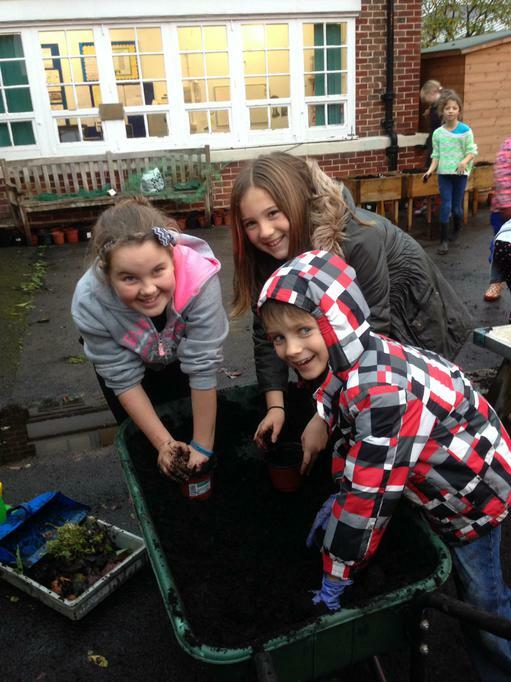 Young Gardeners Club has now finished for the winter. It will return after February half term. Letters will be sent home in January to offer places. 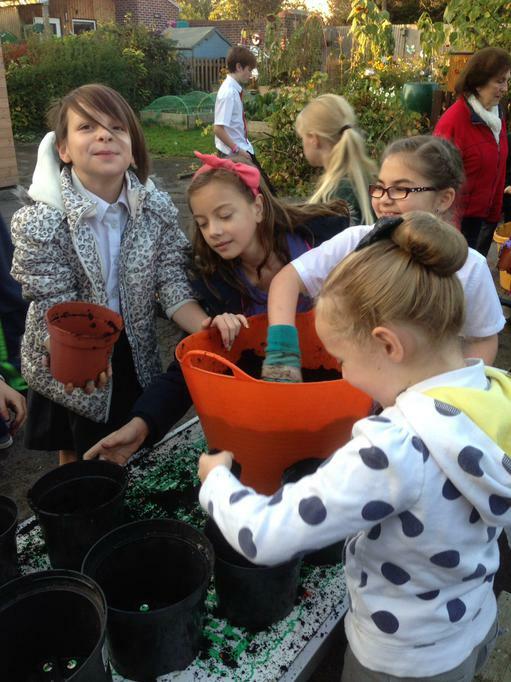 Thank you to all the children and parents for supporting the Young Gardeners Club this year.